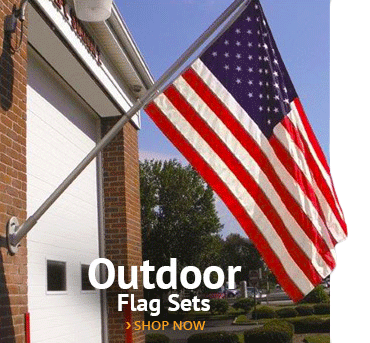 Stop buying flimsy flag sets; this one will last a lifetime!Ideal for high-end residential or light commercial use, this top-of-the-line flag set features a heavy duty cast aluminum base that can be attached to wood/masonry surfaces, an 8' spinning flagpole and shiny gold pole topper. 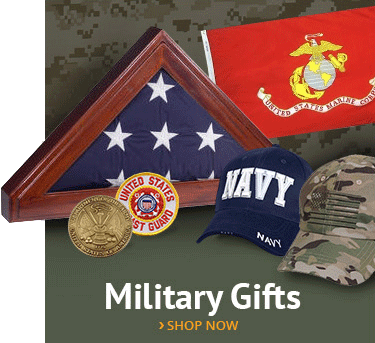 Each set comes with a military-grade 4' X 6' Annin Nyl-Glo Nylon American Flag with two brass grommets for easy display. This premium set is perfect for indoor or outdoor use. Flagpole is 8' long and 2" in diameter. Top half of the locking two-piece pole rotates on ball bearings so the flag never tangles or wraps around the pole. 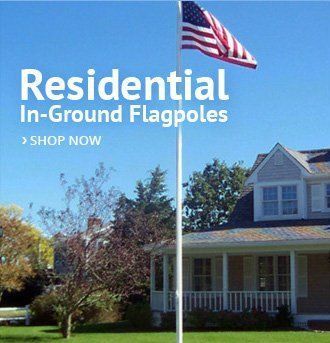 The flagpole attaches to the aluminum base using two heavy duty thumb screws. 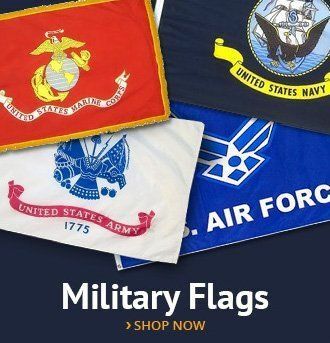 Set comes with a 4' X 6' Nyl-Glo American flag, expertly sewn using Annin's HEAVYWEIGHT 200 DENIER NYLON fabric, SEWN stripes using double-needle LOCK STITCHING with 4 ROWS on the Fly Hem and Back Tack reinforcement. Vivid WHITE STARS are densely EMBROIDERED. HEAVY DUTY Brass Grommets are rustproof. 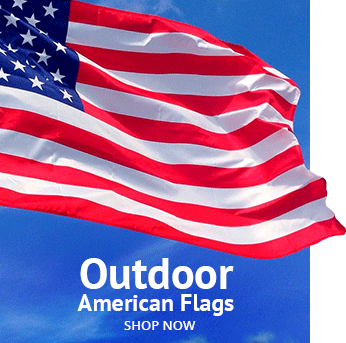 Annin's flags are PROUDLY MADE IN AMERICA and feature a 1-year COLORFAST guarantee. Wall mounting screws sold separately and will vary depending on where you are hanging your pole. Other websites sell this set for $400. Our price is just $299! I needed a heavy duty flag and pole set for my barn that would stand out. This works perfectly. This flag set is the largest I've ever found and the most well made. Most sets are the average 6 ft pole and 3 x 5 ft flag, but this 8 foot pole and 4 x 6 foot flag really make this set stand out! Pole and flag are super sized! This is not your average pole and flag set - it's huge! Looks fantastic on our building! Flag is very well made with embroidery and the pole is extremely strong. We purchased this flag set and LOVE it! We wnted something extra durable and extra large and this was perfect! I purchased this flag set several weeks ago and while it initially seemed like more than I needed for our home, turns out that it's perfect. Found myself buying 2-3 of the cheaper flag sets per year as the brackets broke or the pole bent. That won't happen with this set, that's for sure. Took me less than 20 minutes to install and it looks great. Super-sturdy and worth every cent!